Sri Lanka will soon embark on groundbreaking heart and lung transplants with support from British medical experts, ending an era where such life-saving surgery was only available abroad at high, prohibitive costs. No heart transplant has taken place ever in Sri Lanka but they will become a reality after Wednesday’s formation of the Sri Lanka Society for Heart and Lung Transplantation, a dire need for many Sri Lankans who cannot afford surgery abroad. The only time lung transplant surgery took place in Sri Lanka was in 2011 by a Japanese medical team from Okayama University. This was done at the Nawaloka Hospital. A flurry of meetings this week between government officials and medical experts to study, rectify any legal impediments and bring amendments to the law preceded the formation of the new society under the aegis of the College of Surgeons of Sri Lanka. This will facilitate a comprehensive national Heart and Lung Transplantation Programme of international standing, the highpoint of about two years’ efforts by local doctors. While the programme will be in collaboration with a centre of excellence in Britain, acting as the ‘mentor unit’ for training, advice and practical support, it is to seek international recognition through the International Society for Heart and Lung Transplantation (ISHLT). 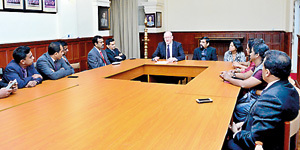 The historic formation of the society at the College of Surgeons office in Colombo took place under the guidance of visiting internationally-acclaimed British transplant expert, Prof. Stephen C. Clark, who is Director of Cardiopulmonary Transplantation at Freeman Hospital, Newcastle-upon-Tyne and Consultant Cardiothoracic Surgeon. The Sunday Times learns that Prof. Clark with local colleagues held meetings with the Director-General (DG) of Health Services, Dr. Palitha Mahipala, and Attorney General Yuvanjana Wijayatilake who promised official support in medical services and amendments to the Tissue Act to facilitate local heart and lung transplantation. Under the new programme, hearts and lungs would be obtained from donors, who have been declared brain-dead — after injuries such as head trauma from accidents. This would be done by independent doctors not linked to the transplantation programme. Such donor hearts and lungs will help save from imminent and agonising death, patients having end-stage heart failure or end-stage lung failure and may have a few days or a few weeks to live. Heart failure results from untreated congenital heart disease, ischaemic cardiomyopathy and rheumatic heart disease. Ischaemic heart disease is on the rise with an increasing incidence of non-communicable diseases such as diabetes and cardiovascular disease and risk factors such as hypertension (high blood pressure), obesity, high cholesterol and smoking. Lung failure could come in the wake of asthma, bronchitis, cystic fibrosis, pulmonary fibrosis and emphysema. The local Heart and Lung Transplantation Programme has been mooted by the Association of Cardiothoracic and Thoracic Surgeons of Sri Lanka (ACTSSL) with the College of Surgeons of Sri Lanka. It is to be set up at the Lady Ridgeway Hospital (LRH) for Children, the Sunday Times learns, with Dr. Mahipala requesting a concept paper during the discussions to launch it as a National Programme in the next two weeks with the Transplant Coordination Centre being based at the Welisara Chest Hospital. 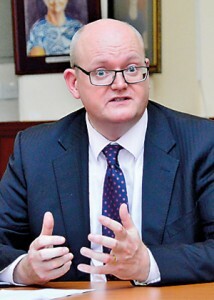 “Sri Lanka has been keen to develop a Heart and Lung Transplantation Programme and make it a centre for neighbouring countries,” Prof. Clark told the Sunday Times in an interview, adding that Sri Lanka had the medical expertise and the will to do so. He urged that from the beginning there should be transparency and it is vital to build-up public confidence from the initial stages. A simple ceremony at the College of Surgeons in Colombo marked the setting up of the Sri Lanka Society for Heart and Lung Transplantation. The idea of launching Sri Lanka into the ambitious frontier of heart and lung transplant surgery had taken root when Sri Lankan doctors either worked or visited Britain’s Freeman Hospital which has a vibrant transplant programme. For two years extensive discussions and e-mail contacts had been flowing back and forth between Britain and Sri Lanka and Wednesday’s formation of the Sri Lanka Society for Heart and Lung Transplantation was the culmination of these efforts. Local doctors involved in the initiative said the goal is to provide quality transplantations as done in Britain to world standards and it is with this aim that the society is collaborating with Freeman Hospital which is a centre of excellence recognised not only in Britain but across the globe. Dr. Anil Abeywickrama, Consultant Cardiothoracic Surgeon at the LRH, primarily responsible for initiating the move, has worked at Freeman Hospital as part of its Transplantation Team. ACTSSL Secretary and Consultant Thoracic Surgeon Dr. Waruna Karunaratne had visited Freeman Hospital to negotiate the provision of technical support and training to the Sri Lankan team. 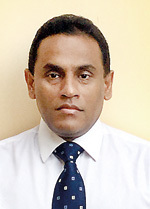 “We need to do it right and set up Sri Lanka’s Heart and Lung Transplantation Programme to international standards,” stressed Dr. Abeywickrama, while Dr. Karunaratne who is abroad stated in an e-mail that extensive discussions have been held between the AG’s Department and the College of Surgeons to look into the legal obstacles that may arise and sort them out as well as create public awareness to drum-up support. The others actively involved in this pioneering move are the President of the College of Surgeons, Prof. Kemal Deen, Consultant Cardiothoracic Surgeon Dr. Kanchana Singappuli, Consultant Respiratory Physician, Dr. Amitha Fernando, Consultant Thoracic Surgeon Dr. Dhammika Rasnayake and former Dean of the Colombo Medical Faculty and geneticist, Prof. Rohan Jayasekara.